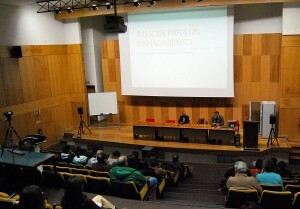 New Acropolis organised a lecture on “Ideals of the Renaissance” at the Faculty of Fine Arts in the Portuguese capital. The lecture was given by Prof. Harry Costin, who approached the topic from a historical and humanistic perspective. Continuing with the Renaissance theme on the following day, Prof. Costin gave another well-attended talk entitled “The Seven Lights of the Renaissance” . Harry Costin studied Strategy at Boston University and has a Masters in Education from Harvard University. 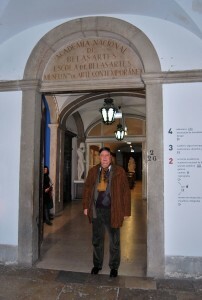 He is a great admirer of the Renaissance legacy and believes it can provide us with keys to inspire a renewal of contemporary thought and help to create a better future.